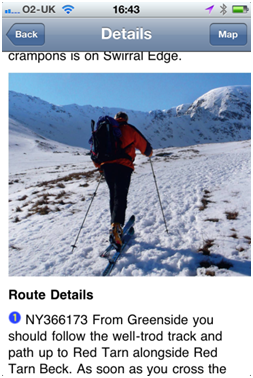 ViewRanger has teamed up with the UK’s leading outdoors magazine TRAIL to make all the routes published in the current edition (February 2011, on-shelf today 22nd Dec) available to download through the ViewRanger app and onto your phone. 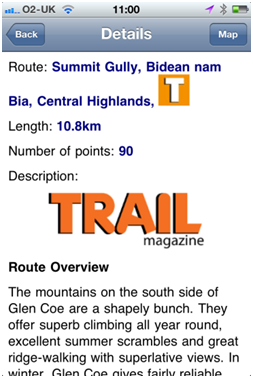 What’s more the routes are free for all ViewRanger users and come complete with the imagery, commentary, advice and guidance from TRAIL’s expert route contributors. 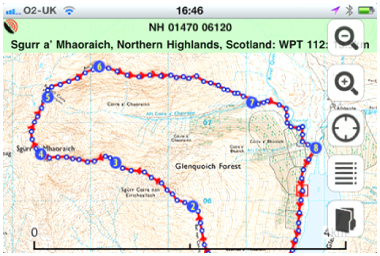 Once installed, thanks to the ViewRanger navigation features you can view your mapped location on-screen, receive navigation alarms if you veer off course and alerts & info at the key waypoints plotted on the route. You can even share you location using ViewRanger BuddyBeacon. TRAIL joins the growing roster of some of the best UK walking route providers published on ViewRanger which includes WalkingWorld, The AA, Ramblers Assoc, and Trek & Mountain. ViewRanger offers instant and direct access to a database of over 7,000 expert guided routes across the UK.